Halloween (ハロウィーン) in Japan is of course a purely commercial celebration, spread more or less as in my country (Italy), maybe just a little less known. 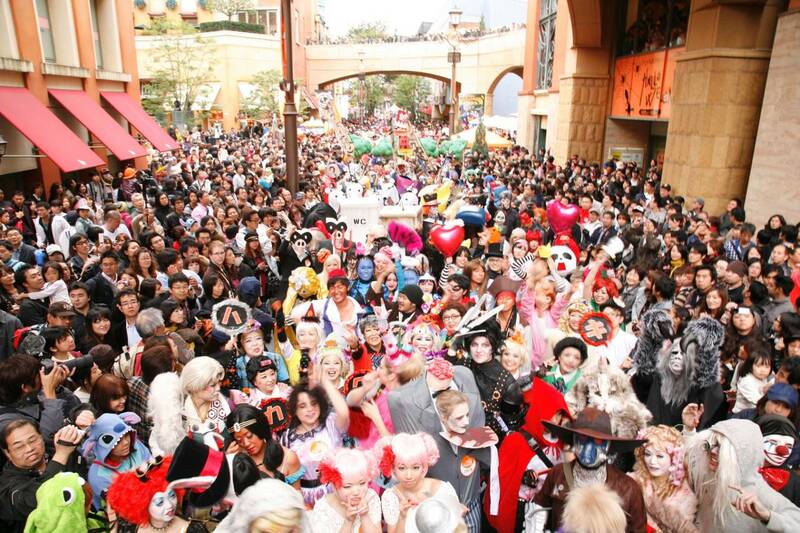 Halloween is perfectly in keeping with the Japanese craze of unbridled consumerism and disguise. In the days before this day, especially in cities like Tokyo or Osaka, you can find various shops "decorated" with an Halloween theme, with pumpkins and things like that, many clubs and discos that organize costume parties on the night of October 30, and various other events aimed to attract people and make some extra money. 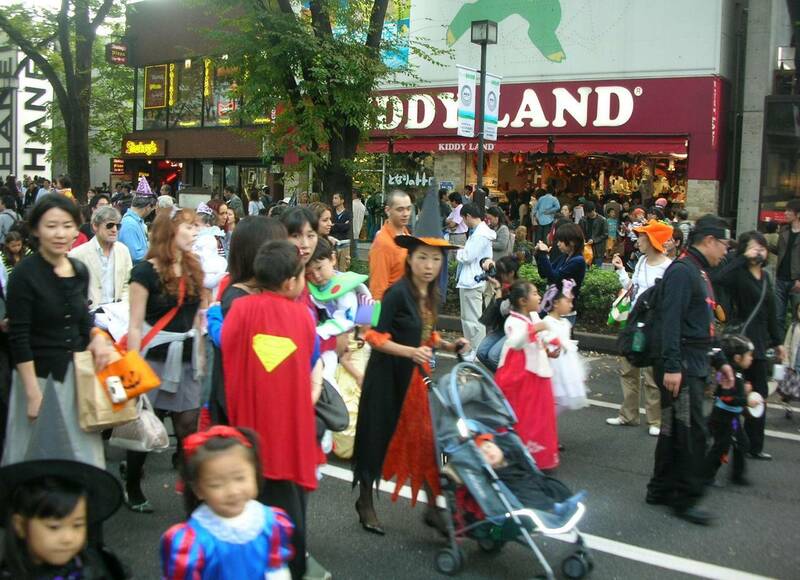 The custom of trick or treat among children is mostly unknown. 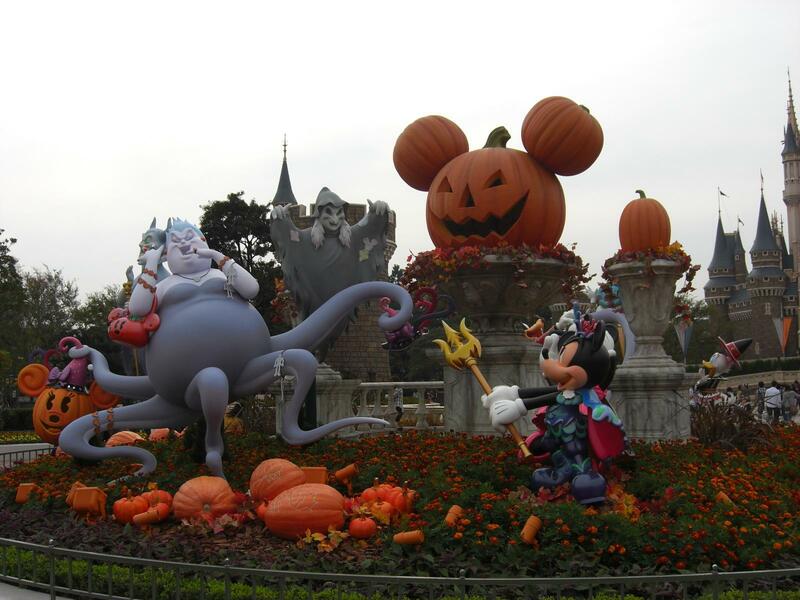 In particular, some very popular events take place every year in the American amusement parks of Disneyland (Tokyo) and Universal Studios (Osaka), more information on their official websites. 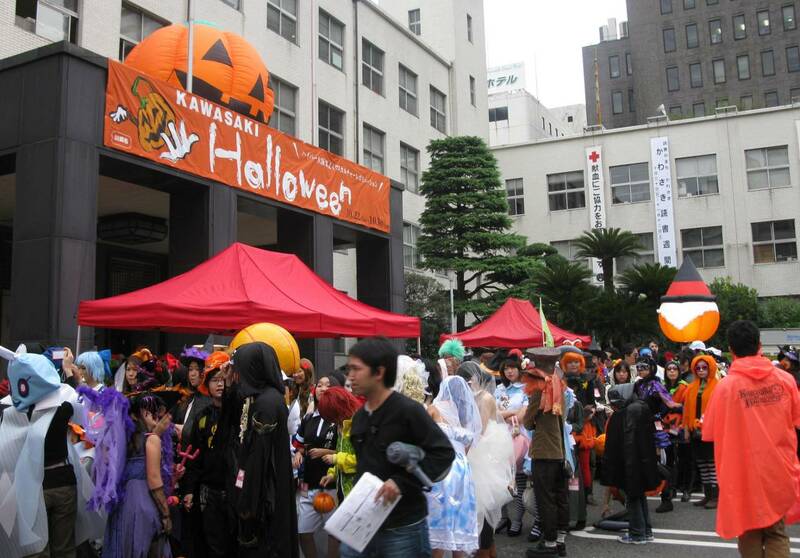 -the Kawasaki Halloween Parade, the biggest parade among those mentioned, it doesn't take place in Tokyo but in Kawasaki, a large commuter town very close to Tokyo, a few minutes away by train. 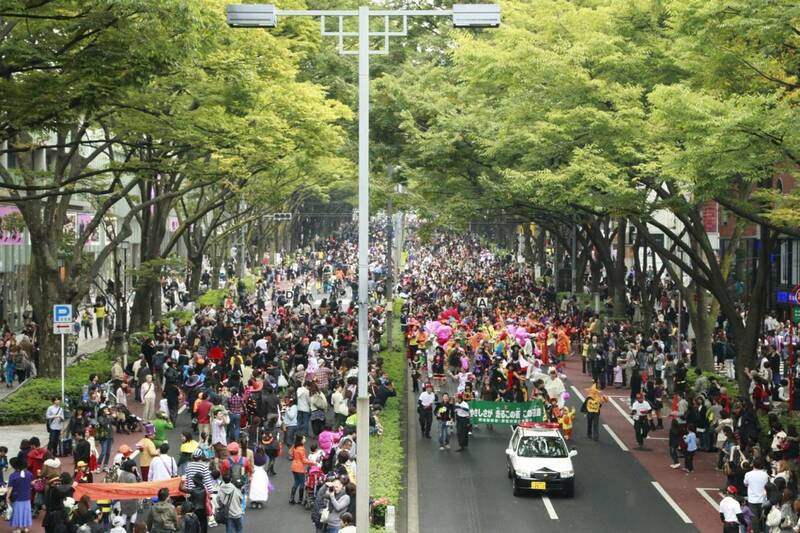 The parade takes place near the East Exit of Kawasaki station, and is organized by an "Italian-style" shopping center called La Cittadella (official website). All these costume events are usually aimed at children, but it is not uncommon to see disguised adults and even animals among the children. Another curious thing is that not all costumes are in keeping with Halloween, among witches and vampires it's not hard to find characters from mangas or other disguises that nothing have to do with the Halloween themes.